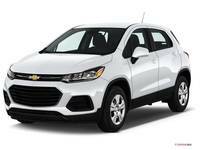 Browse the latest and best lease deals and specials at Banks Chevrolet. Browse Chevy Lease Specials, GMC Lease Specials, and Buick Lease Specials in NH. We offer $0 Down Lease Deals and Specials for all brands. Conveniently located in Concord New Hampshire, a short drive away from Manchester, NH.